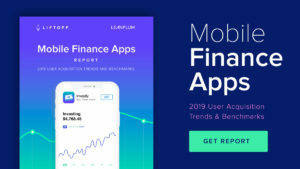 Liftoff, the leader in mobile app marketing and retargeting, released a new report in partnership with Leanplum uncovering new insights into the world of mobile finance. Specifically, it found that women are more engaged than ever with finance apps, meaning it’s prime time for marketers to double-down on investments in the traditionally underserved demographic. The report also shows the Asia-Pacific region (APAC) continues to lead the charge when it comes to finance app adoption, but the EMEA region is poised to grow quickly with the advent of new financial innovations. Mobile technologies are said to enable female empowerment, and this appears especially true when it comes to finance. This year, the cost to acquire a finance app user is almost the same for both genders ($33.41 for men, $36.15 for women), representing a narrowing gap from the previous year ($30.77 for men, $38.46 for women) — a trend that may be explained by the increased global adoption of mobile technologies and the rising tide of college-educated women. While a recent study suggests women are more passive when it comes to financial management, the latest data from Liftoff and Leanplum upends this patriarchal stereotype. Female engagement jumped 41% this year, demonstrating a stronger motivation to take control of finances than ever before — at least on mobile. The report shows APAC continues to lead in mobile finance apps adoption. The cost to acquire a user who completes a registration ($20.67) is a significant drop from the 2017 price tag ($27.81) and is the lowest of all the regions, while the install-to-register rate in APAC towers above the rest. But while mobile users in the region are more open to exploring the booming finance app market, the data shows that activation remains a hurdle. At this critical stage, APAC users are the most expensive to acquire at $49.47 — almost 29% higher than last year — and with a low activation rate of only 14%. Notably, the data points to EMEA as a rising star, a shift predicted by Liftoff’s 2018 Mobile Finance App Report, with the data showing a promising market gaining momentum — possibly a result of the introduction of the Payments Services Directive in the region this past year. This year’s report finds the region rising to that potential: the cost to acquire an activating user may seem pricey ($50.62) but it’s half the cost recorded last year. And, while the 13.6% install-to-activation rate is the lowest of all the regions, it’s a whopping five times last year’s rate. As mobile users in EMEA warm up to the innovations in financial technologies and solutions, mobile marketers are increasingly presented with opportunities to skillfully target finance app users in a relatively untapped market.